As with any Wes Anderson film, there is always two key aspects that he fastidiously maintains with absolute consistency. Iconic, memorable characters (Even the secondary characters are just as fascinating to observe) and the stunning sets/production design that ground his characters in that specific locale - wherever it may be. Combine those things with a quirky storytelling angle, and you've got the raw ingredients to create a work of art which allows us as interested observers ease in identifying that, yet again, it is another Wes Anderson masterpiece I'm watching. Specific highlights? Ralph Fiennes. After "In Bruges" and this, you really want to see him in more of these humorous roles. Fiennes plays these characters straight (as such), but also with the merest trace of a smirk, reminding us the viewer, that he too, knows how much fun the character is to watch. Willem Dafoe! Bugger all lines, but he really doesn't need any. He is a hoot as the stone faced Jopling, the dogged family enforcer brutally dispatching the various human's (And cat! Ker-splat! Best on-screen cat death this year so far) that are in the way of his progress towards securing 'justice' for the deceased's family he is employed for. The stunning set/production design. Oh. My. God. Stunning - and then some. The best filmmakers are inherently aware of the power of indelible images that can be recalled with consummate ease years from now. 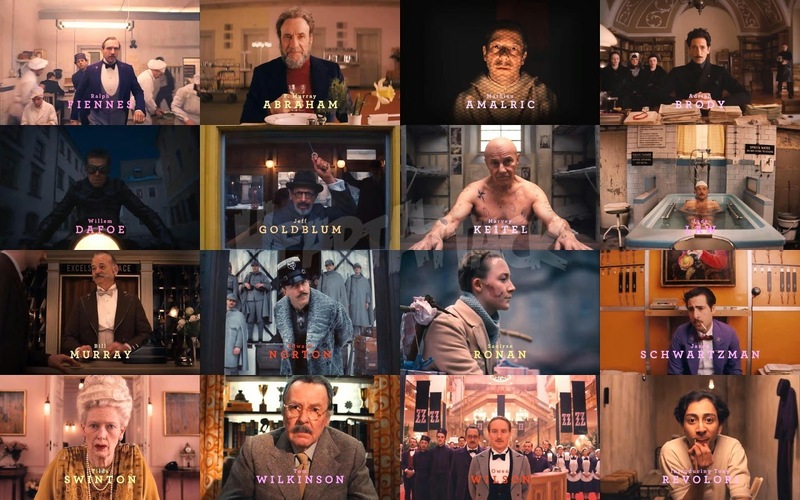 The Grand Budapest Hotel is going to be one of those. Mention this film to a friend in 20 years from now, and they will instantly have a picture in their mind of this masterpiece. If you haven't already gleaned the essence of my review, then this is the only thing I need to say now. Go see it. On the big screen. It is worth whatever price you have to pay for the nearest cinema to you. One of my favourite movies this year - so far anyway!